We are dedicated to serving customers in many aspects of their travel arrangements. This section will provide information on the services provided. Airport Parking offers a wide range of options for parking at coventry airport. With both on and off-airport options, there will be something on offer to suit every need and budget. Many people may like to consider the possibility of staying at an airport hotel, either before departure on upon their return. Many of these hotels include 8 or 15 days parking in the price of a room. So as well as being a more convenient option, it may also be easier on your finances. To view the hotels on offer at coventry airport and get a quote please click here. 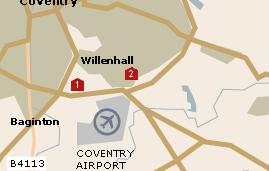 Coventry airport is situated just 4 miles south of coventry centre, and 8 miles north east of Warwick. The airport offers a wide range of flying experiences, from European holiday flights, and scenic helipcopter rides, to flight lessons and business charters. In 2003 the airport handled 5,400 passengers and had 2,500 aircraft movements. We hope we have gathered as much useful information as possible about Coventry airport but are always open to suggestions and recommendations, so if you have any additional information that you think should be displayed on this guide or any corrections or suggestions, please let us know by using our contact form. Why not visit Hire4less for a competitive quote. 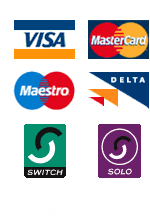 All prices are fully inclusive! Need to arrange travel insurance? Visit Travelinsurance4less for a quote and details of policies.